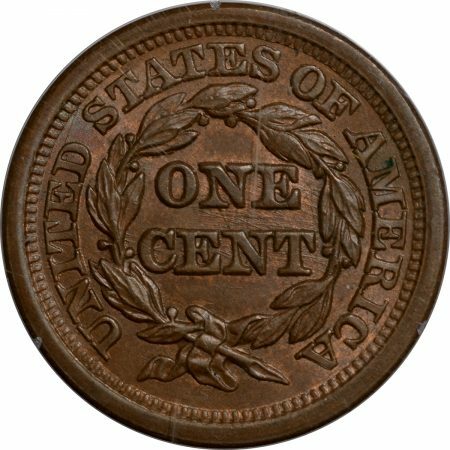 You are here: Home / Shop / U.S. Certified Coins / New Certified Coins / 1850 BRAIDED HAIR LARGE CENT PCGS MS-64 RB PQ & LOOKS GEM! Here is another quality selection from The Reeded Edge. 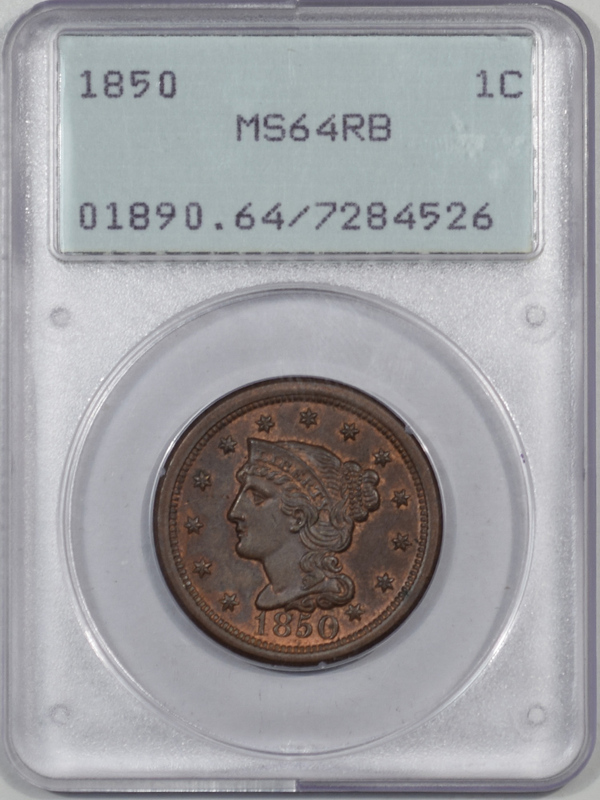 This is a 1850 BRAIDED HAIR LARGE CENT PCGS MS-64 RB PQ & LOOKS GEM!. Our commitment is to provide you with quality coins and collectibles at the best possible prices. This piece is no exception. Please note, the coin and collectibles markets do fluctuate, and prices occasionally will change. In this rare circumstance, we will contact you first to verify your order. 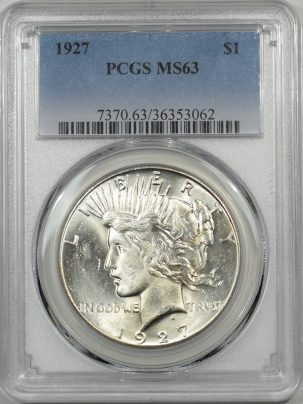 1946 IOWA COMMEMORATIVE HALF DOLLAR NGC MS-66 PQ++ OLD FATTY CAC APPROVED! 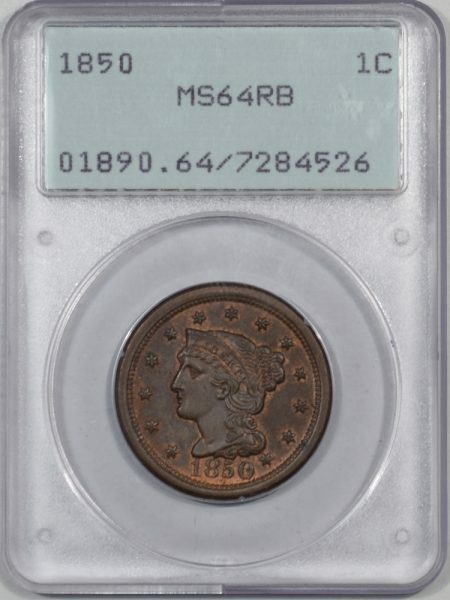 1905 INDIAN CENT PCGS MS-65 RB PQ! 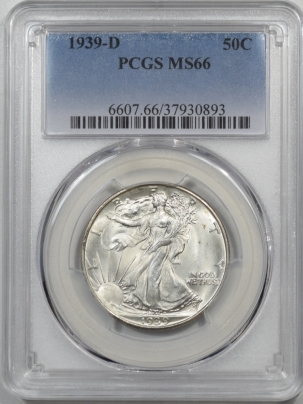 LOOKS MS-66! CAC APPROVED!